Found 6 file extension associations related to Metasequoia and 2 file formats developed specifically for use with Metasequoia. 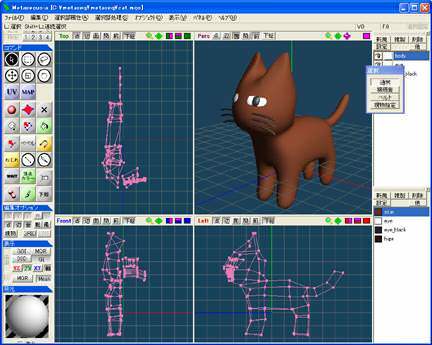 Metasequoia is a polygon modeler for 3DCG and game development. It provides you efficient modeling works. It is very easy to use and learn, and even a beginner of 3DCG will be able to manage it one day. If you need more information please contact the developers of Metasequoia (Osamu Mizuno), or check out their product website.